Every business needs to support its customers. Answering support emails, logging notes and creating help articles for customers is probably a part of your company’s everyday effort to deliver great products and services. So why not do it in style? Introducing our latest integration with Help Scout – an awesome help desk application. Help Scout is a help desk designed for small business. It’s basically invisible to customers and scales like any other help desk, but the customer experience is personalised like regular email. It keeps your team on the same page and delights customers thanks to rich collaboration features. Once you connect both applications on our Apps and Integrations page (check the video below how to do it!) 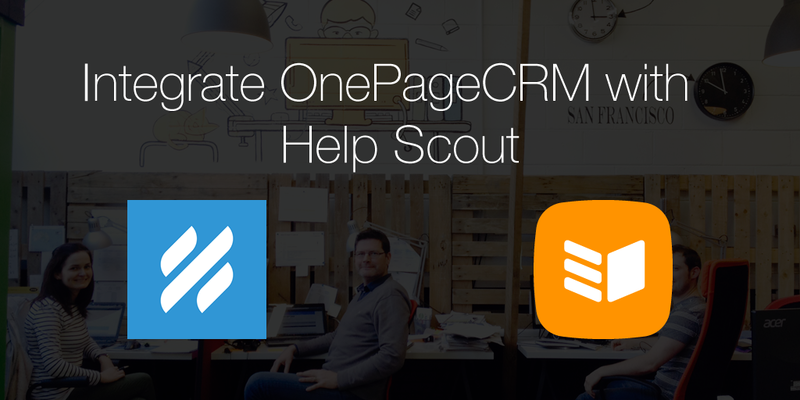 you will see all the customer details from OnePageCRM within HelpScout. Meaning you’ll never again miss out on crucial information when replying to a customer query. With this integration, you’ll always have the information to hand including deals history and the Next Action associated with the contact. What’s more, your support personnel can now collaborate with sales to improve the overall performance of your company! 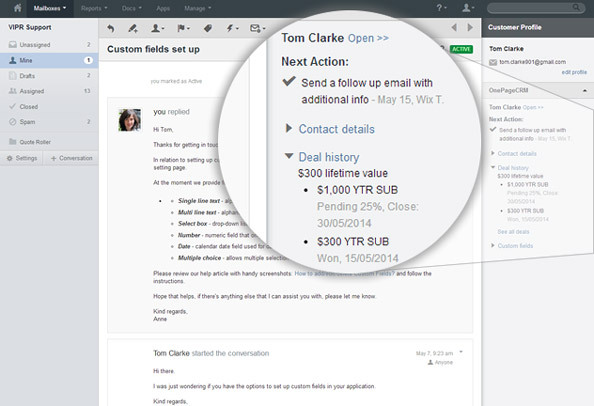 It’s also really easy to create a contact in OnePageCRM from within HelpScout – it takes just one click!